Scientists have found a second Earth—Earth’s twin—which is 6.65 times as massive as our planet, with a radius of just 1.4 times that of Earth. It has an atmosphere and is located in its Stars habitable zone. Scientists say that this is the most exciting exoplanet found in the past decade. The list of potentially life-bearing planets increases steadily. The title of “best candidate for alien life” is moved from one planet to another as scientists are finding rapidly more planets that can be considered as Earth’s twins. Astronomers have made yet another incredible discovery beyond our solar system. 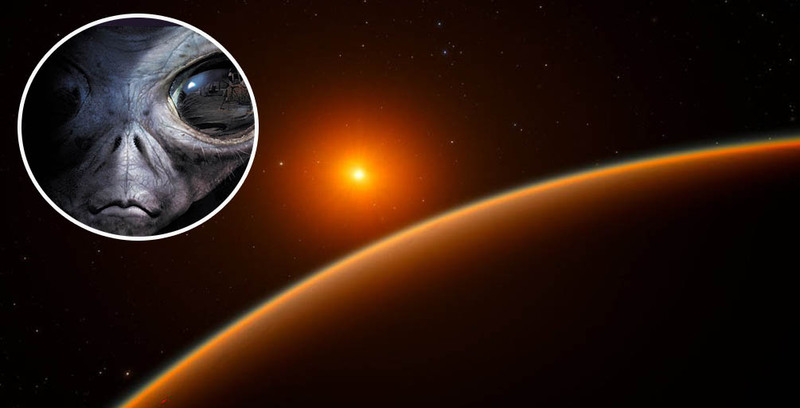 A newly found alien world—which is larger than Earth and has its own atmosphere—raises hopes of not only finding another planet that is eerily similar to Earth but one that is home to alien lifeforms. In fact, the discovery is so exciting that astronomers refer to the newly found exoplanet as the BEST BET in search for alien life. The alien world is classified as a super earth that is 6.65 times as massive as our planet, with a radius of just 1.4 times that of Earth. Called LHS114b, this ‘dwarf’ planet is larger than Earth and orbits a star at nearly 40 light-years from Earth. More importantly, it is located in its star’s habitable zone and has its very own atmosphere. The planet is located far enough from its star in order to sustain life as we know it, and not far enough to have freezing temperatures. The alien world is located in the constellation Cetus and orbits a star called LHS1140. Furthermore, scientists who made the discovery using the European Southern Observatory’s telescope believe that LHS 114b receives only half as much sunlight from its sun compared to Earth. As noted by experts, the planet receives 0.46 of the heat from its star that the Earth gets from the Sun. “The LHS 1140 system might prove to be an even more important target for the future characterization of planets in the habitable zone than Proxima b or TRAPPIST-1,” said two members of the international team, Drs. Xavier Delfosse and Xavier Bonfils. Even more interestingly is the fact that astronomers believe that LHS114b may have formed in a manner similar to Earth. “This is the most exciting exoplanet I’ve seen in the past decade,” said lead author Dr. Jason Dittmann of the Harvard-Smithsonian Center for Astrophysics in Cambridge, Massachusetts. In addition, unlike other rocky planets around similar stars, this particular red dwarf—LHS1140—seems to be very quiet. For life to exist as we know it, an alien planet must have liquid water on its surface and be able to retain an atmosphere. Astronomers know very well that when red dwarfs are young, they often emit massive amounts of radiation, intense waves of plasma (much larger than our Sun), capable of forever damaging or destroying the atmospheres of the orbiting planets. In this case, the size of the planet implies that an ocean of magma could have existed on its surface for millions of years. And that ocean of boiling lava could have been supplying large amounts of steam to the atmosphere even long after the star had reached its present state of calmness, after its initial fury, which could mean that there may be large amounts of water there. In regards to the age of the system, authors propose that LHS1140b could be formed in a similar way to the Earth and calculate that its star is at least 5,000 million years old, approximately the same age as the Sun. In other words, a prime candidate for alien life, and rightfully dubbed as Earth’s twin planet. The authors of the study now await the results of observations made with the Hubble Space Telescope, which will be able to accurately determine the amount of high-energy radiation that LHS1140b receives and, therefore, its ability to sustain life.